1. Lot of 18 pcs of Lakesite articles (vol. 1) + 1 pc of display holder. 2. 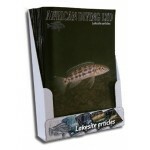 Lot of 50 pcs of Lakesite artilces (vol. 1) + 1 pc of display holder. 3. 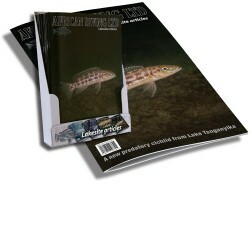 Lot of 100 pcs of lakesite articles (vol. 1) + 2 pcs of display holder. The number of magazines are adapted for the most cost-effective shipping. For lot-item buyers of 50 pcs and 100 pcs in the European Union please contact us for tax free purchases (submission of VAT registration number required). For non EU-members and rest of the world, no taxes are included in these lot-items (notification at check-out). Lakesite articles, vol. 1: Lepidiolamprologus kamambae; lot of 18 pcs, including 1 pc of displa..
Lakesite articles, vol. 1: Lepidiolamprologus kamambae; lot of 50 pcs, including 1 pc of d..
Lakesite articles, vol. 1: Lepidiolamprologus kamambae; lot of 100 pcs, including 2 pcs of..